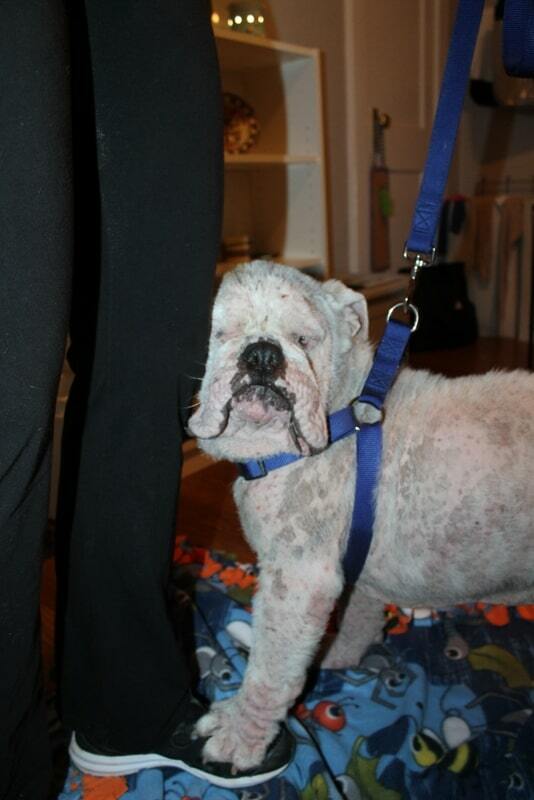 2/10/14: Please welcome Orson! 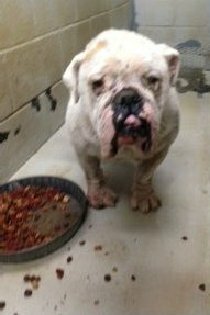 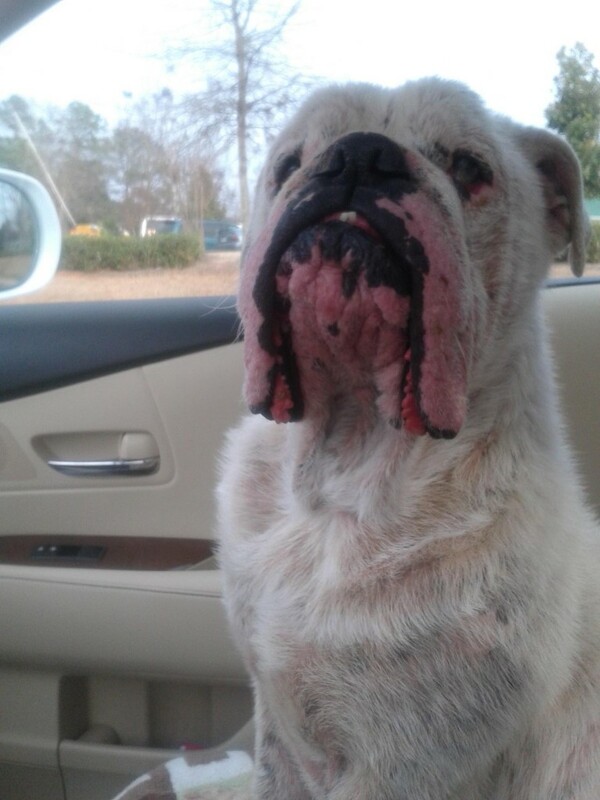 We received an email from Suzanne, a friend with another rescue about this sweet boy that showed up at the shelter in Griffin, Ga. He was in need of rescue quickly! 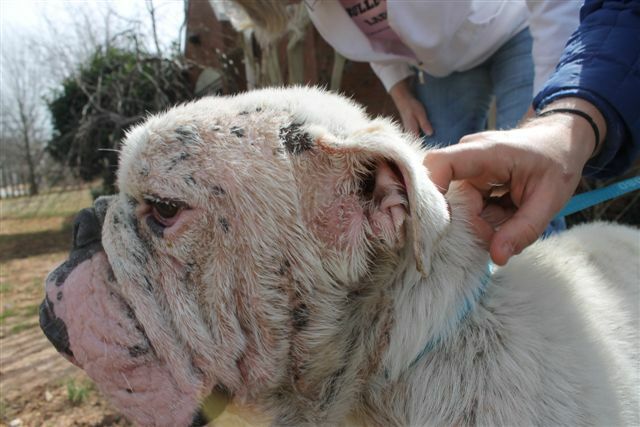 Darlene was there within two hours to save him. 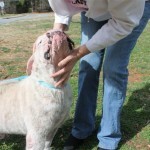 Thank you Suzanne and Darlene! 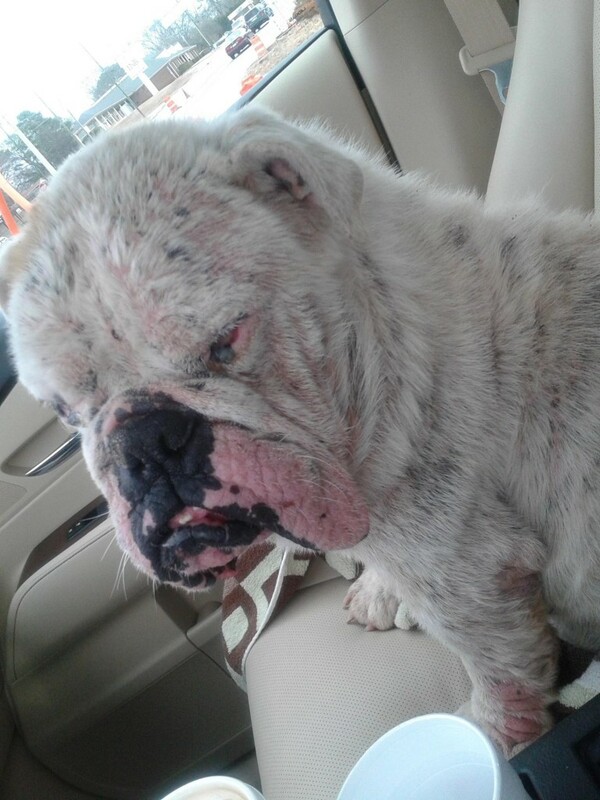 He spent the night at Darlene’s house and was transported to Riverside the next morning. 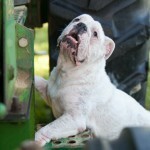 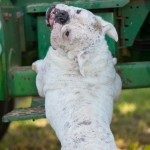 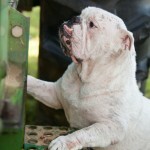 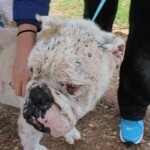 As you can see from the photos he has some serious skin infections and is going to have a long recovery ahead of him. 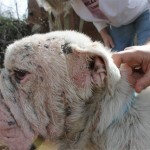 Dr Ross will continue to treat his skin while he is there for his two weeks in shelter quarantine. 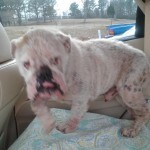 He will move into his foster home next week. 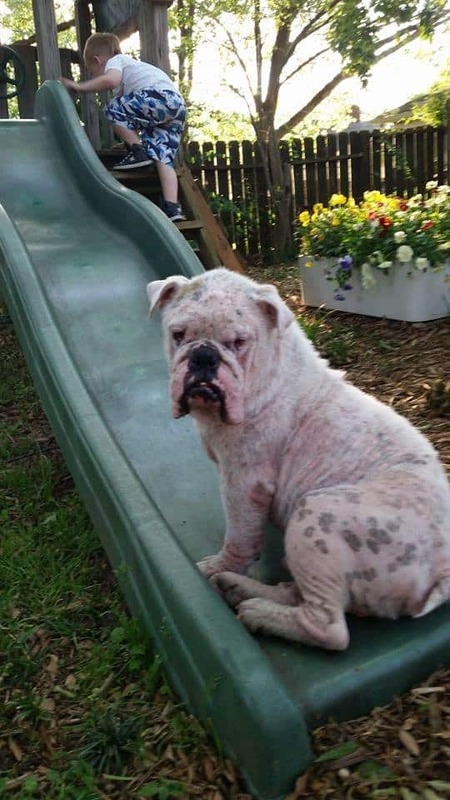 We have not seen him around dogs, cats or children. 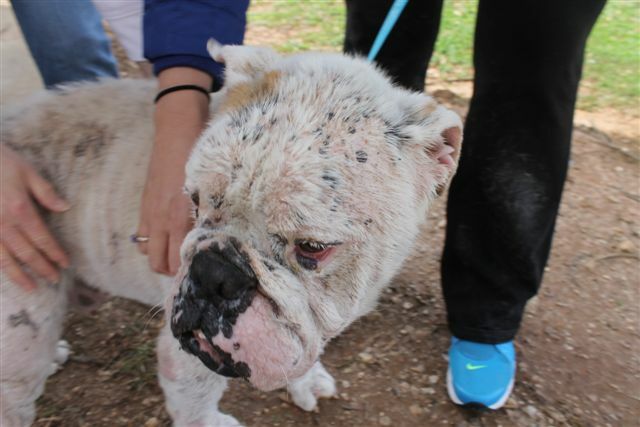 We will update as we learn more about him. 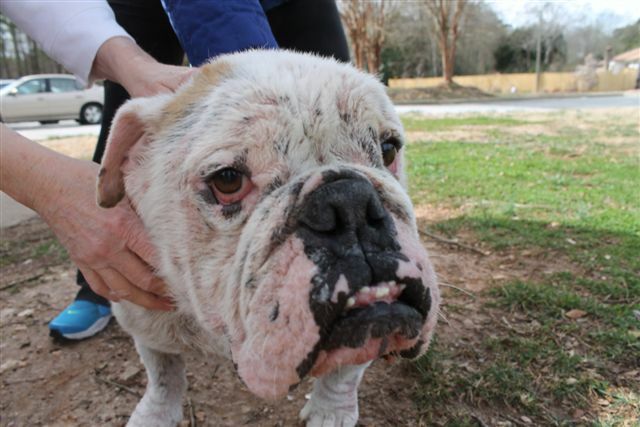 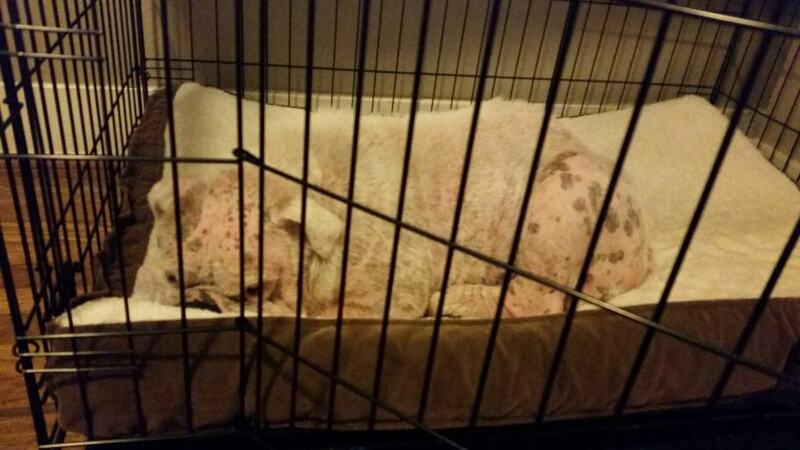 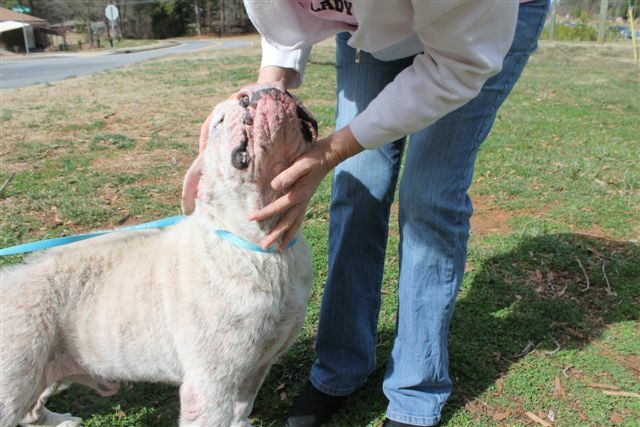 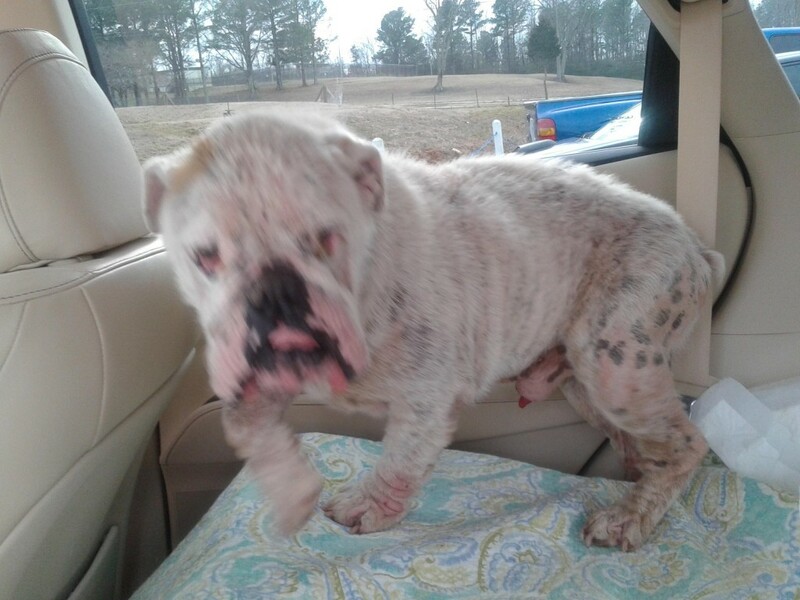 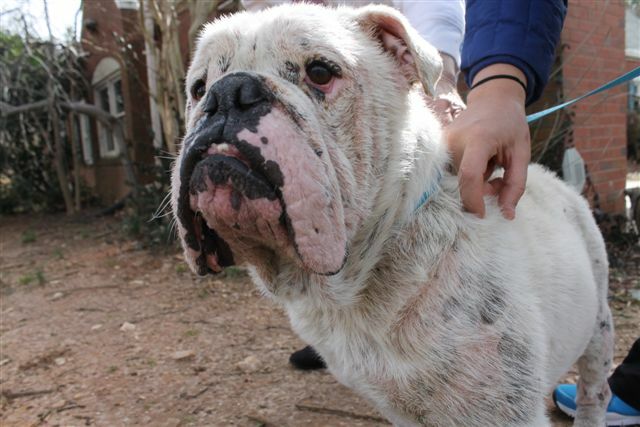 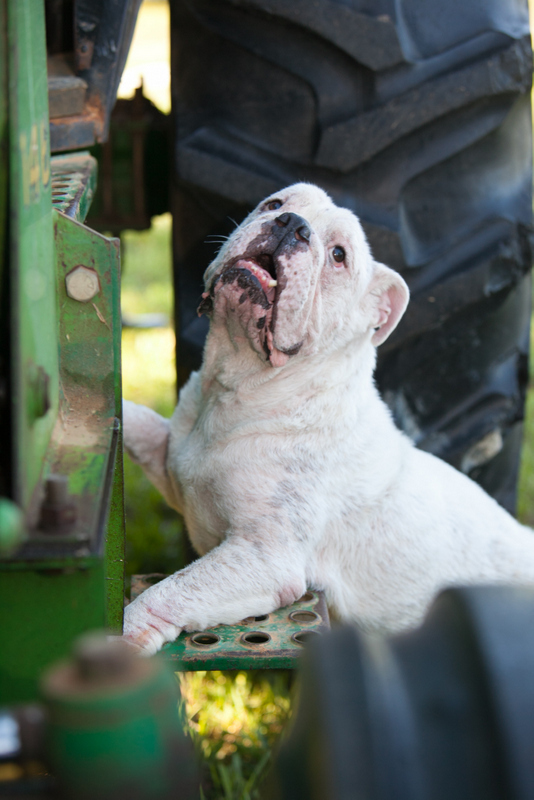 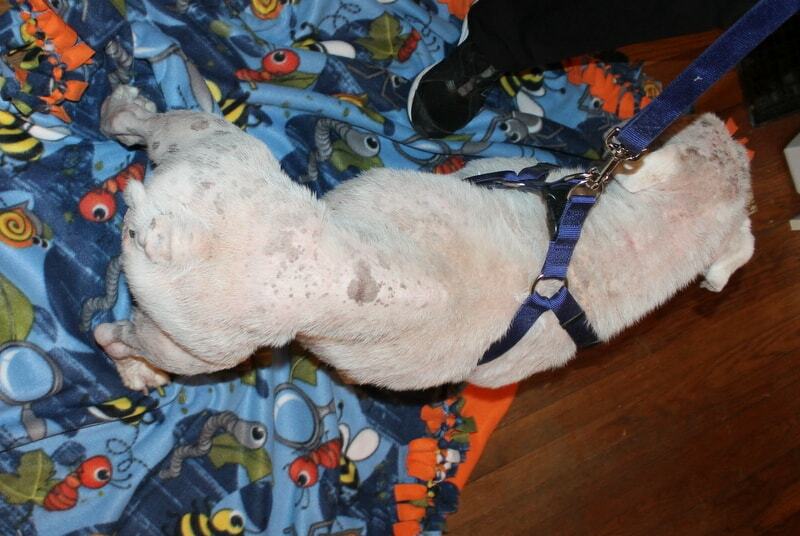 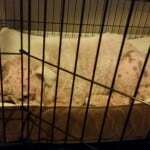 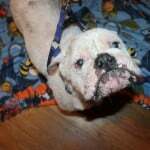 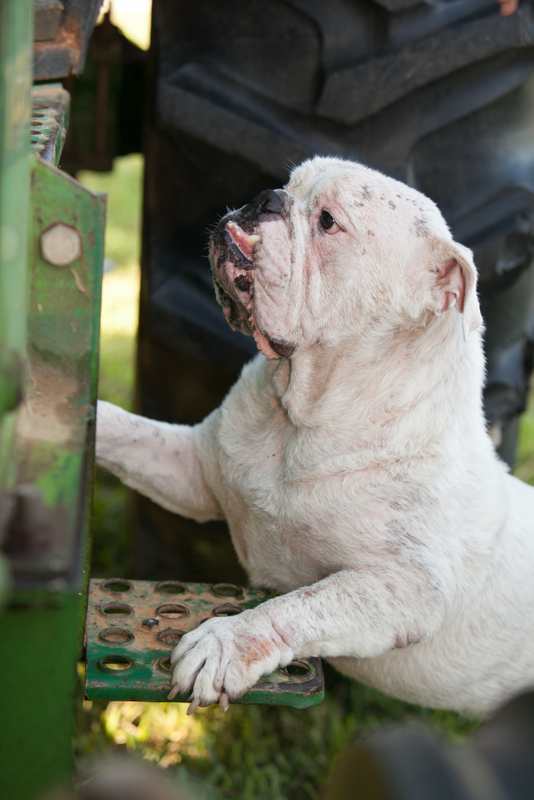 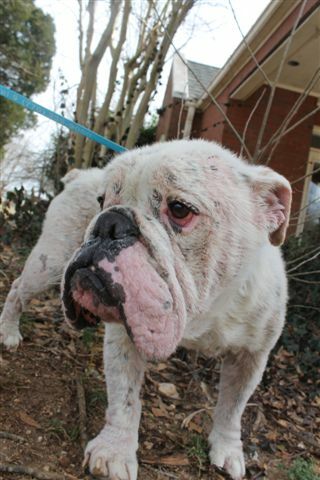 Update 2/28/14: We are still treating Orson’s skin infection. 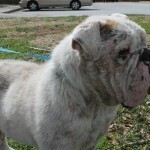 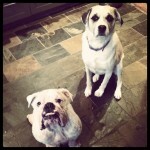 Dr Ross is planning to neuter him next week, once that is done he will move into his foster home. 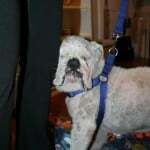 He has dry eye and will stay on eye drops for the rest of his life. 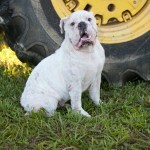 He is a sweet boy but does like to hump your leg when he gets excited! 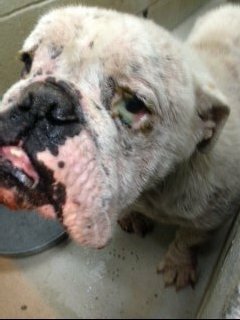 It will still take some time to clear up all of his skin infections once but they are cleared up he will be available for adoption. 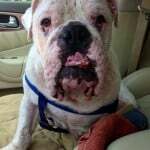 Update 3/7/14: Orson was neutered yesterday! 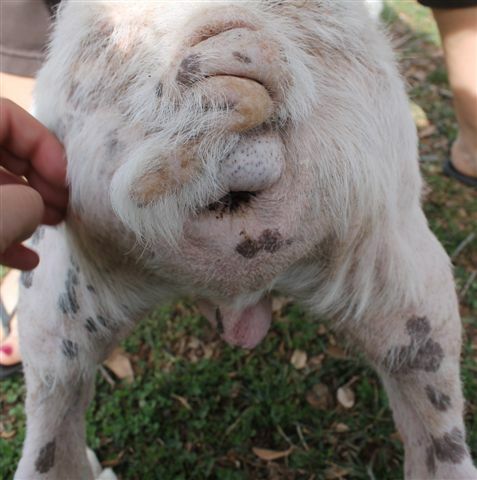 But he is also heartworm positive. Dr Ross is going to start heartworm treatment in a week then we will work on clearing up his mange and lingering yeast and bacteria infections. 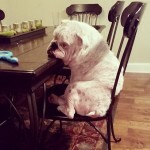 Poor guy! 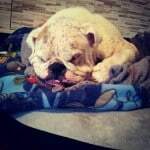 Please keep him in your thoughts. 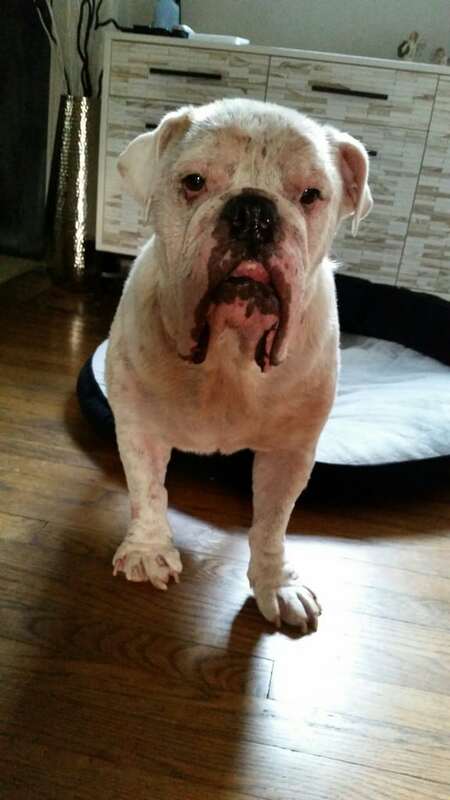 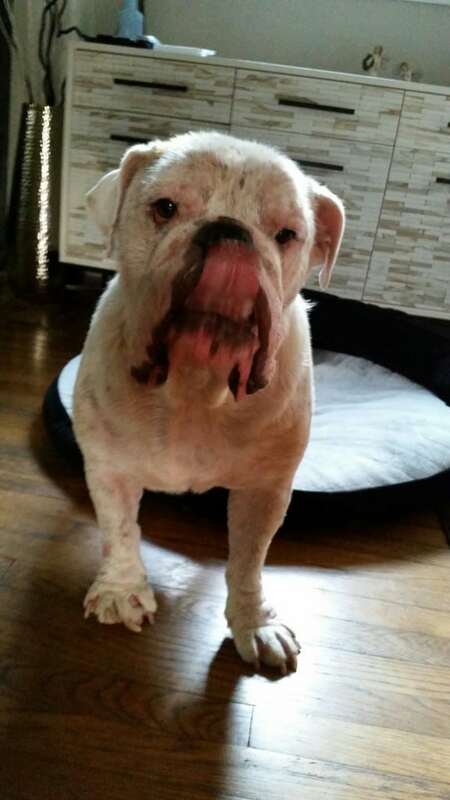 Update 4/23/14: Orson moved into his foster home the past Saturday. 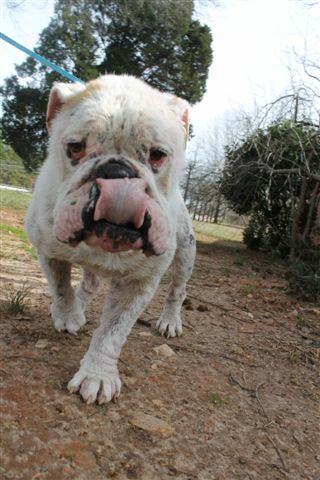 As you can see from the photos he still has a long road of ahead of him. 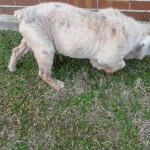 We will continue to treat his mange. 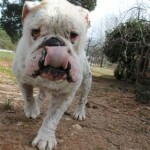 He is living with two dogs, three cats and a toddler. 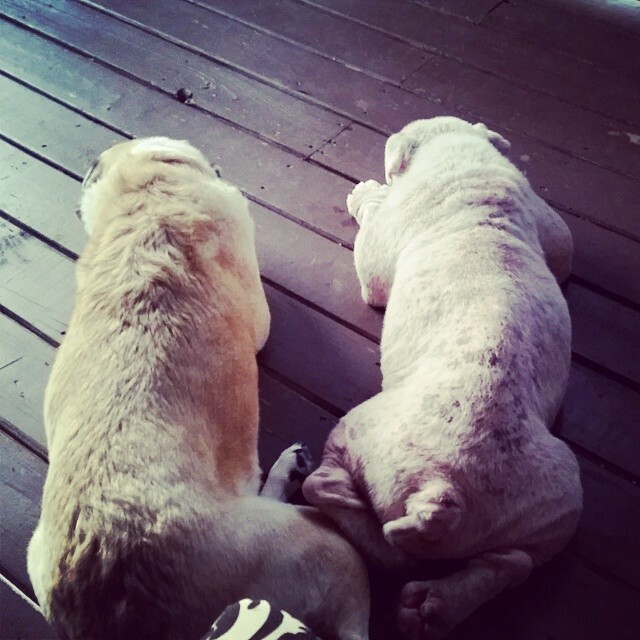 He seems to get along great will all of them. 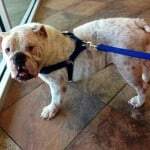 Update 6/13/14: Orson had a recheck with Dr. Ross on 5/22. 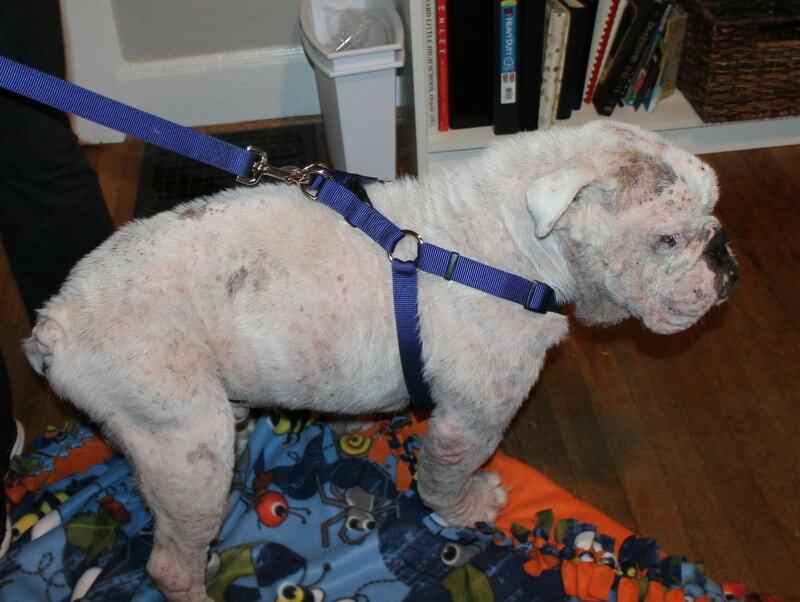 He is looking 100% better but we are still treating his mange. 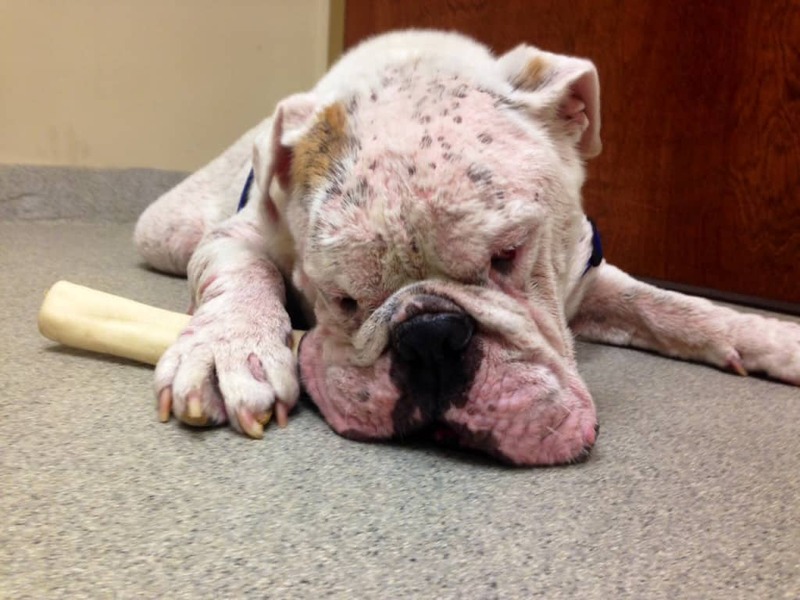 He goes back in a week for another recheck. 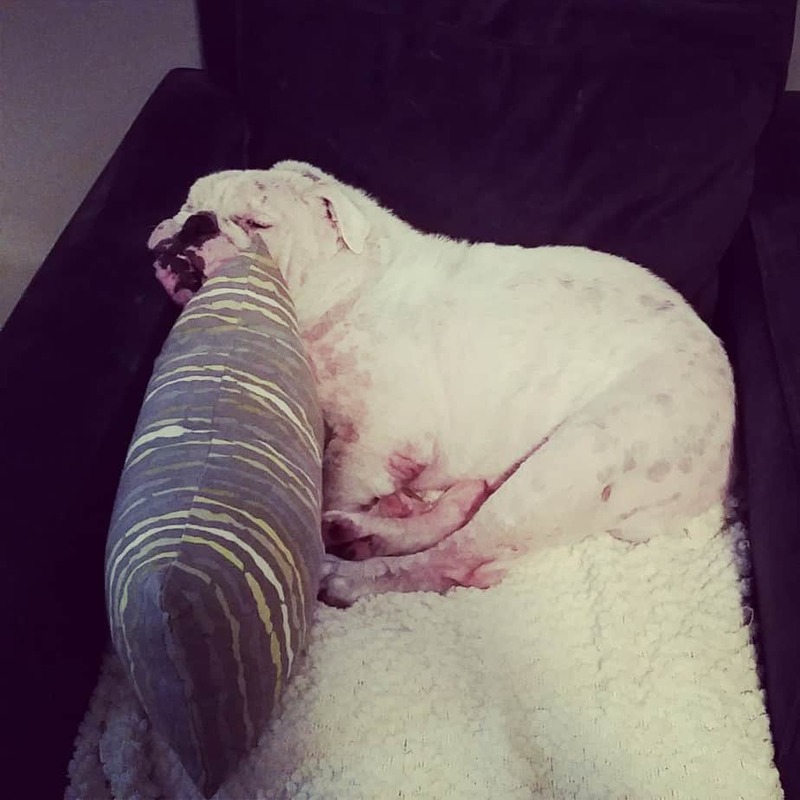 He is loving the spoiled life in his foster home. 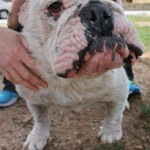 Update 8/5/14: Orson had a consult with Dr Griffies, the dermatologist. 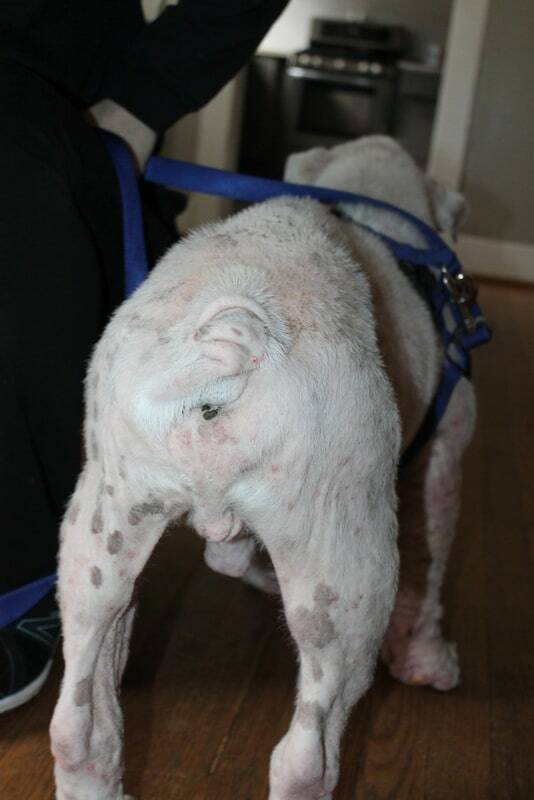 We are still treating his mange and some other skin infections. 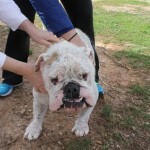 He will go back in one month for a recheck. 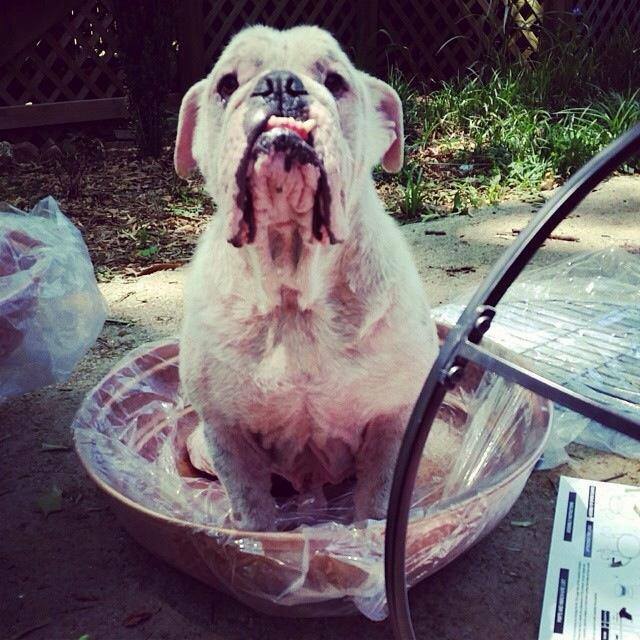 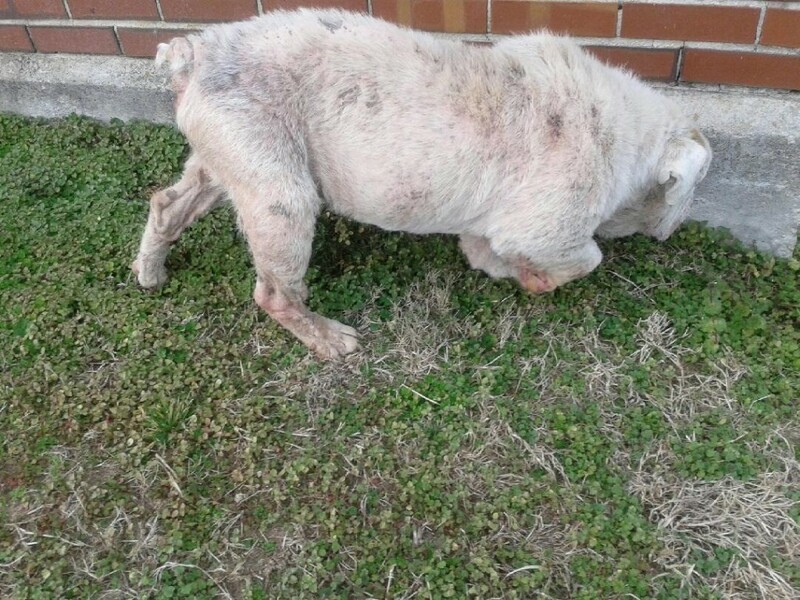 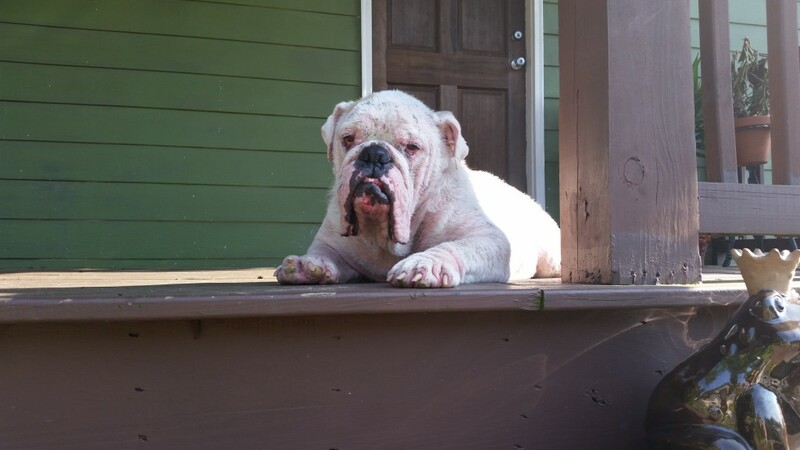 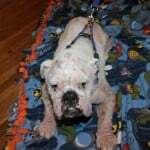 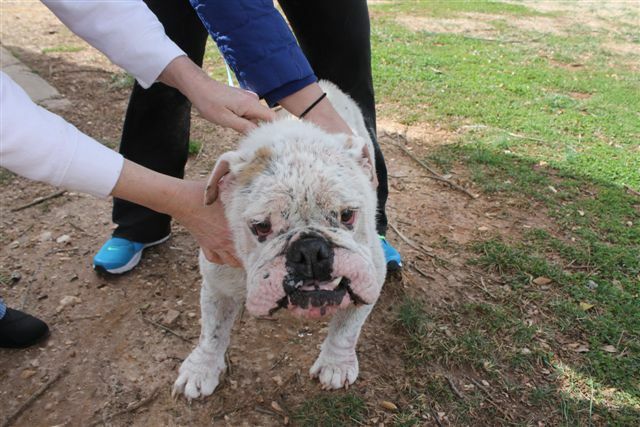 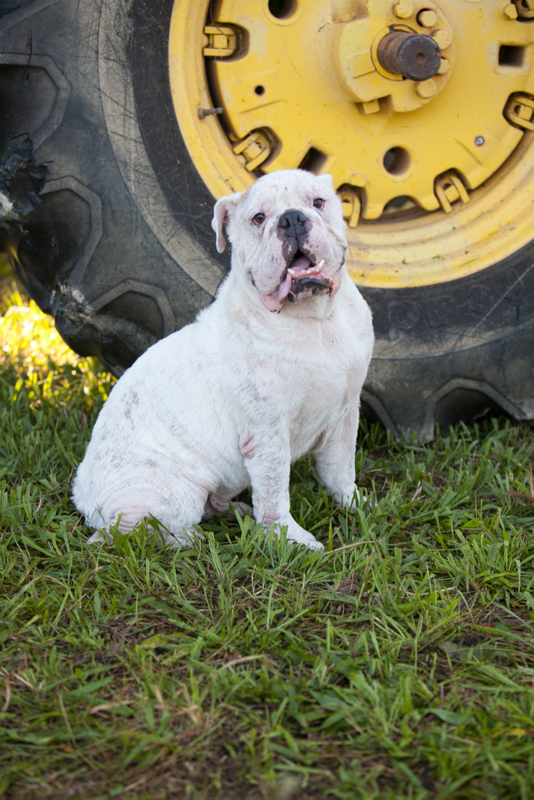 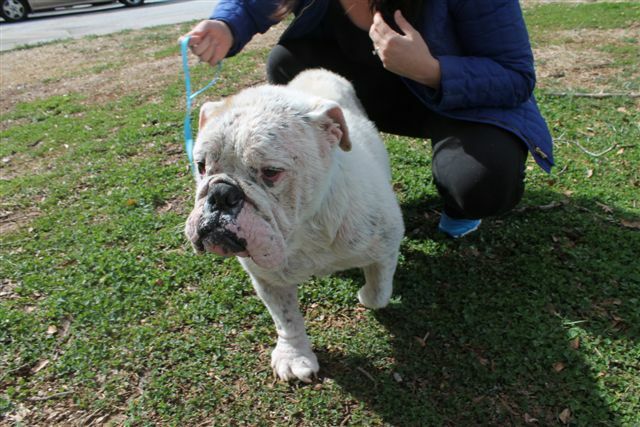 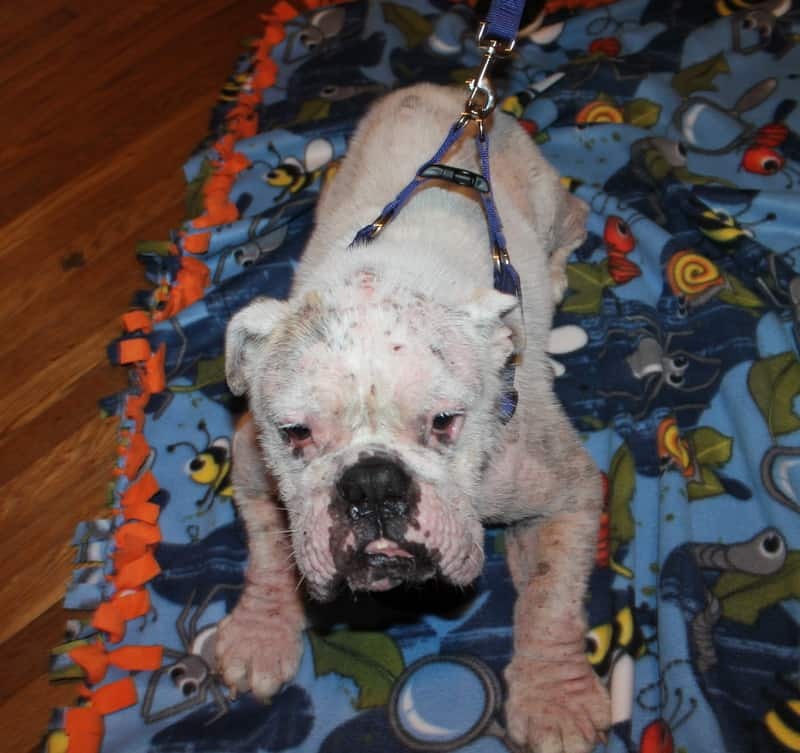 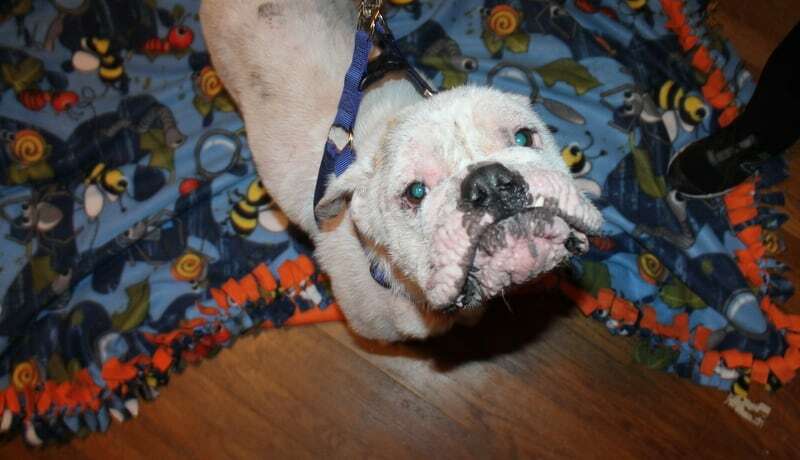 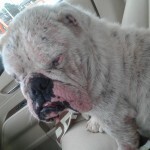 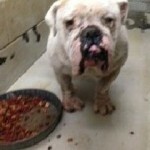 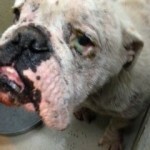 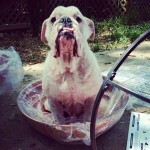 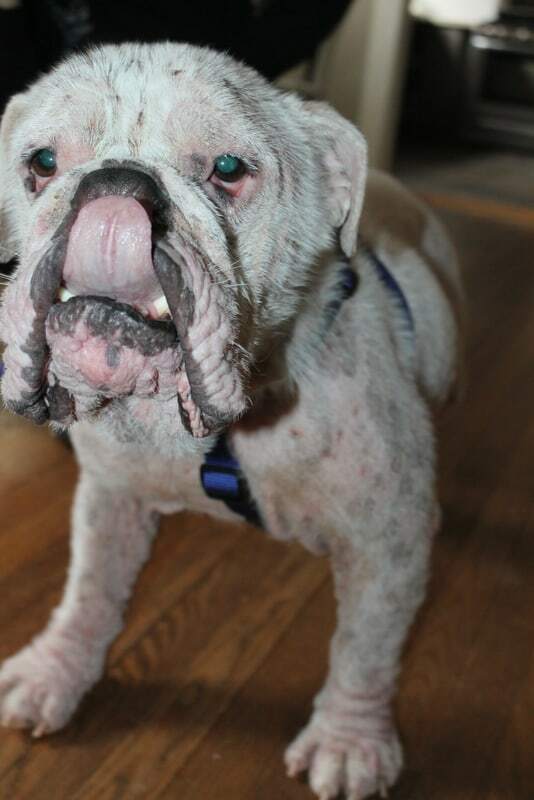 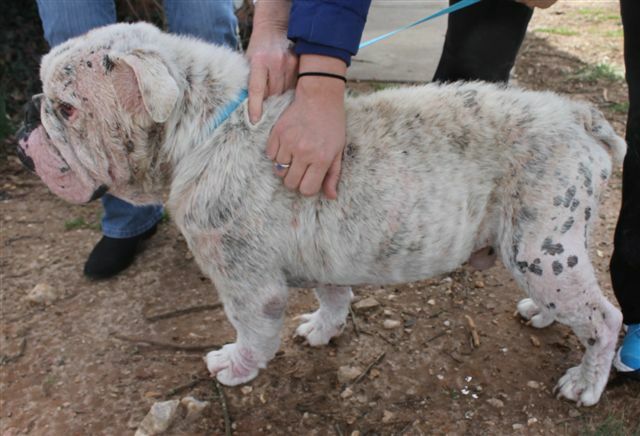 Update 9/11/14: Orson had a recheck today and he is mange free! 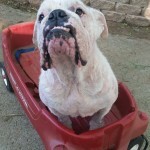 We are still working on his other skin infections. 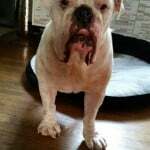 He will go back in one month for a recheck. 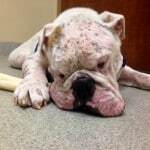 Update 10/9/14: Orson had a recheck today. 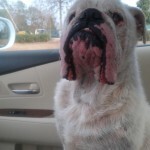 Unfortunately we are still working on his skin infections. 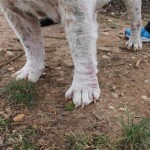 We decided that a skin biopsy it is the next step. 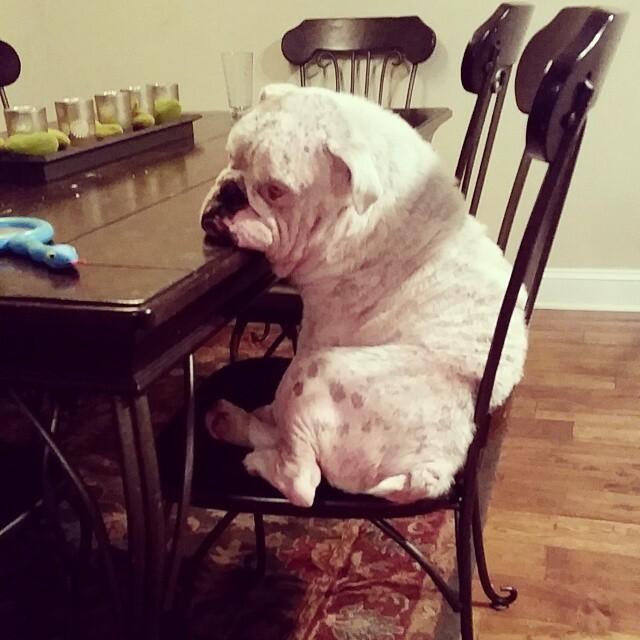 We should have the results in a few weeks. 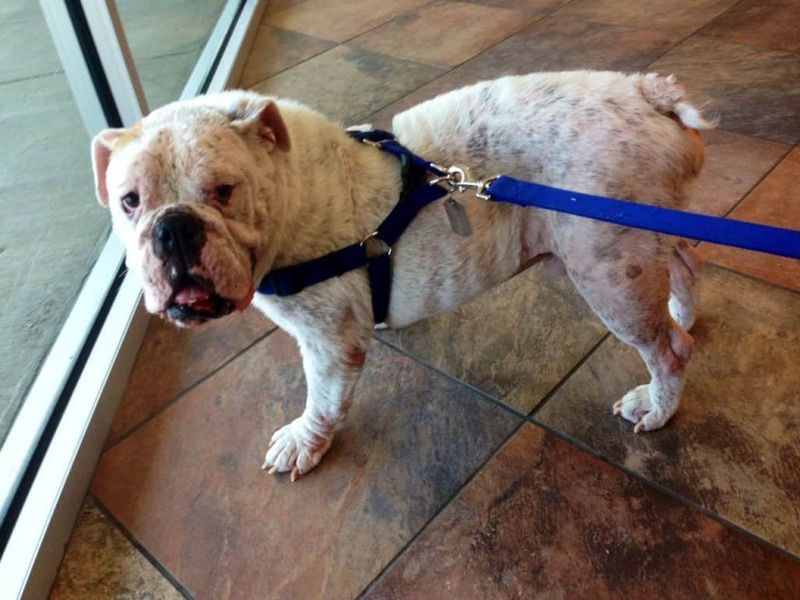 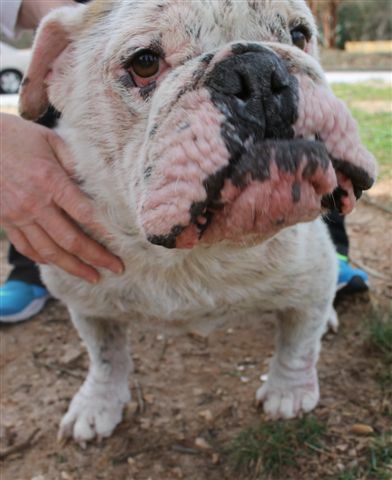 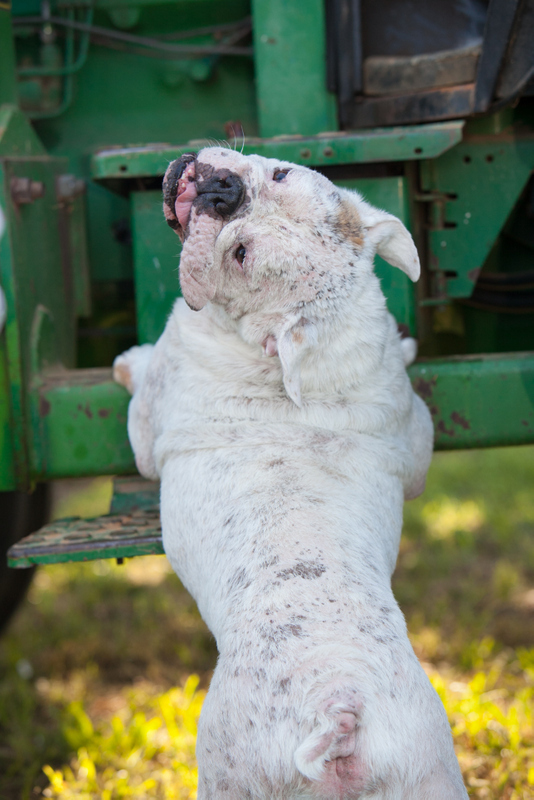 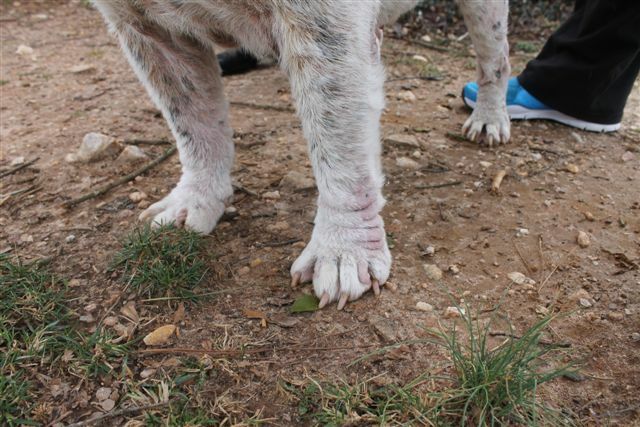 Update 5/11/15: Orson has been seeing the dermatologist for the past ten months. 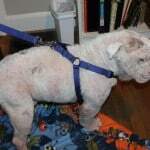 His infections are under control with medications that he will need to remain on for the rest of his life. 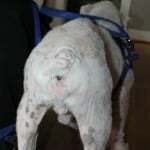 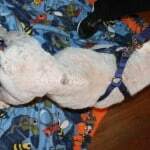 He will take Apoquel daily, he will need weekly to bimonthly medicated baths, Ketoconazole every other day to twice a week, monitoring of his ears for yeast and twice a year visits to the dermatologist. 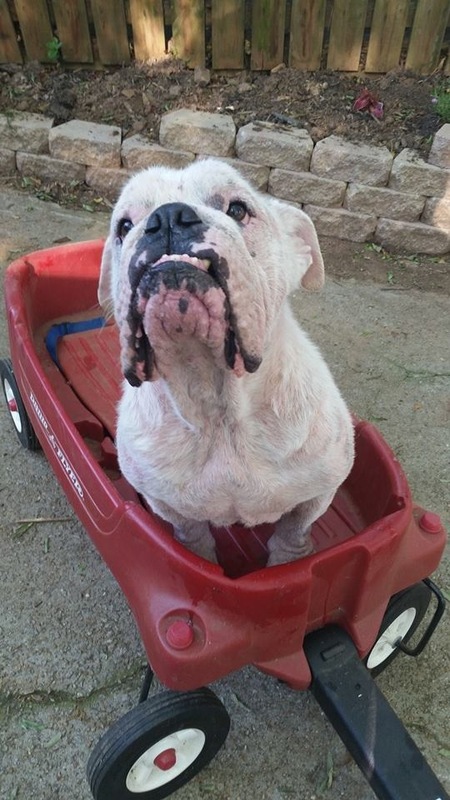 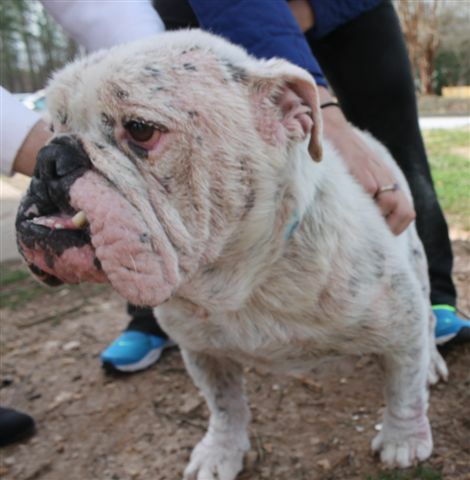 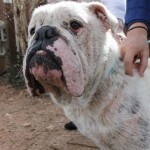 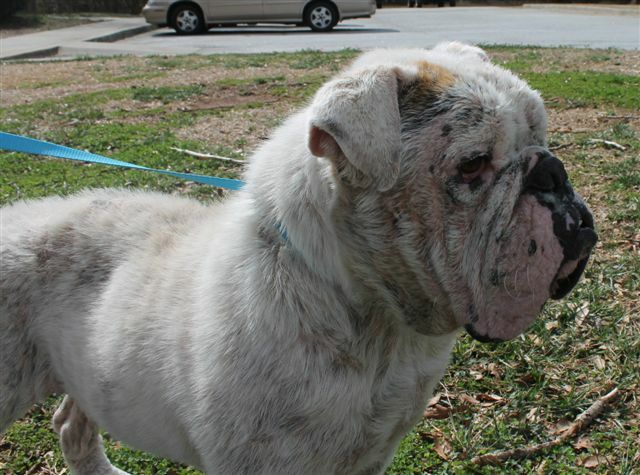 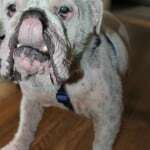 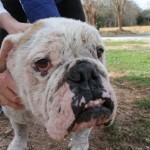 We would prefer to have Orson stay in the Atlanta area so that he can continue seeing Dr Griffies but we would consider an adopter outside of the area with an approved dermatologist. 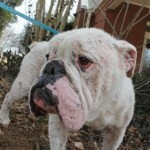 Orson will also need eye daily eye drops for the remained of his life for his dry eye. 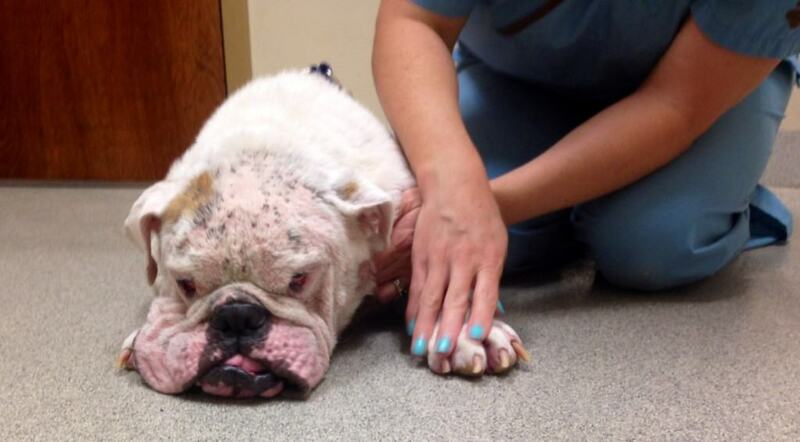 Update 5/13/15: Orson had a consult with Dr Cross, the orthopedic surgeon, today. 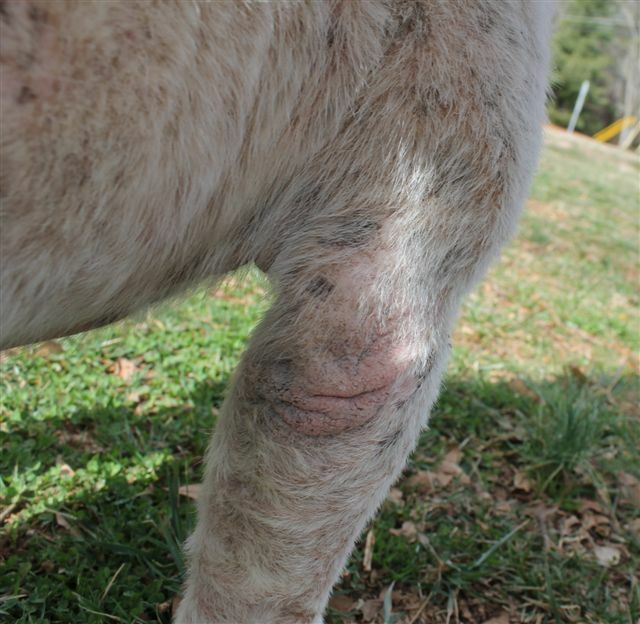 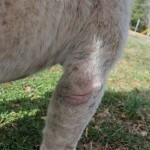 He has a mild luxating patella that occasionally affect him, but his knee cap is moving back into the socket on it’s own. 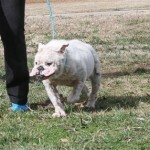 He may have a slight tear in one knee but this does not affect him at all at this time. 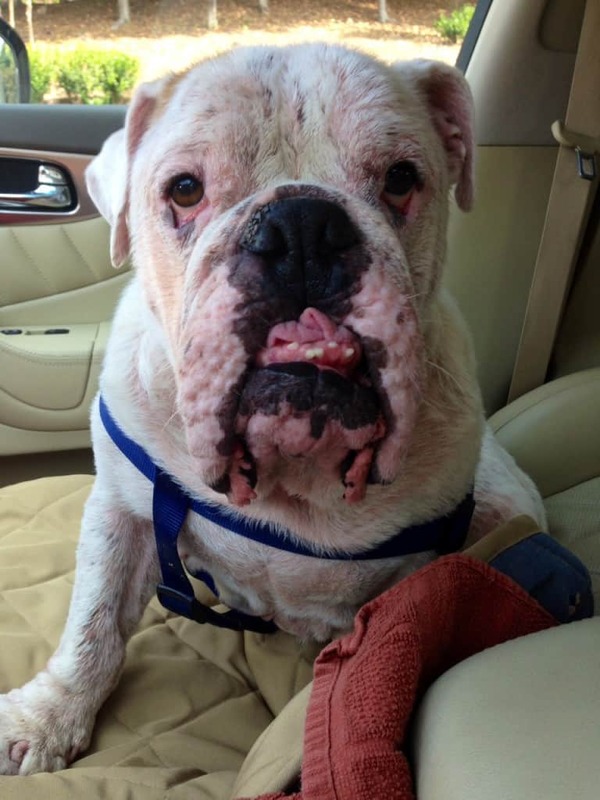 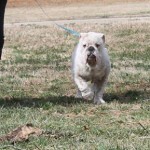 Update 4/23/16: Orson has been adopted by his foster parents. 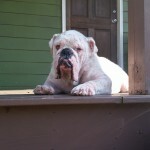 Congrats Orson, Sophie (not pictured) Cara and Jason! 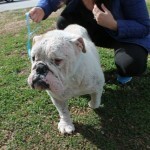 I have a feeling Pookie will be joining your family soon too! 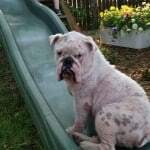 August 20, 2018: Orson crossed over the rainbow bridge unexpectedly today. 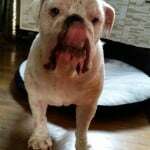 Please keep his family on your thoughts.